Explanation: Our Moon's appearance changes nightly. 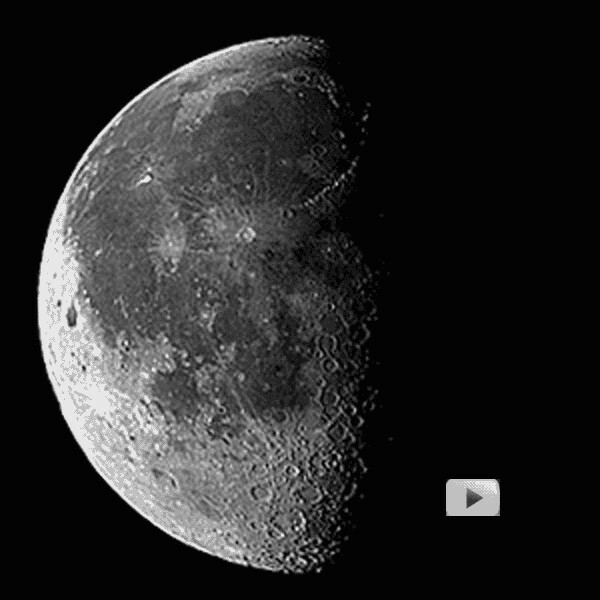 This time-lapse sequence shows what our Moon looks like during a lunation, a complete lunar cycle. As the Moon orbits the Earth, the half illuminated by the Sun first becomes increasingly visible, then decreasingly visible. The Moon always keeps the same face toward the Earth. The Moon's apparent size changes slightly, though, and a slight wobble called a libration is discernable as it progresses along its elliptical orbit. During the cycle, sunlight reflects from the Moon at different angles, and so illuminates different features differently. A full lunation takes about 29.5 days, just under a month (moon-th). Click on the picture to view the animated gif file.